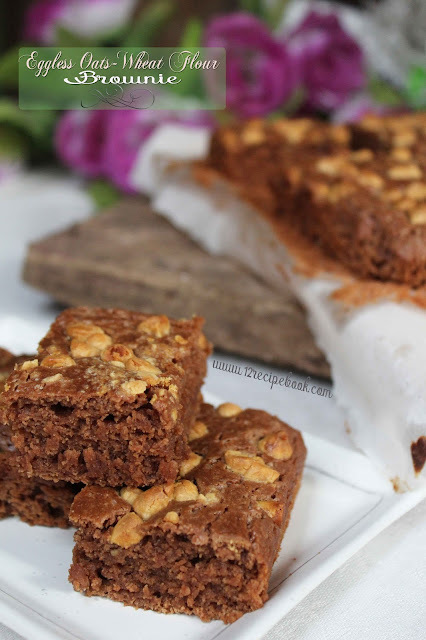 Eggless Oats-Wheat Flour Brownie is a delicious sweet treat which stands in the category of healthy"too!. 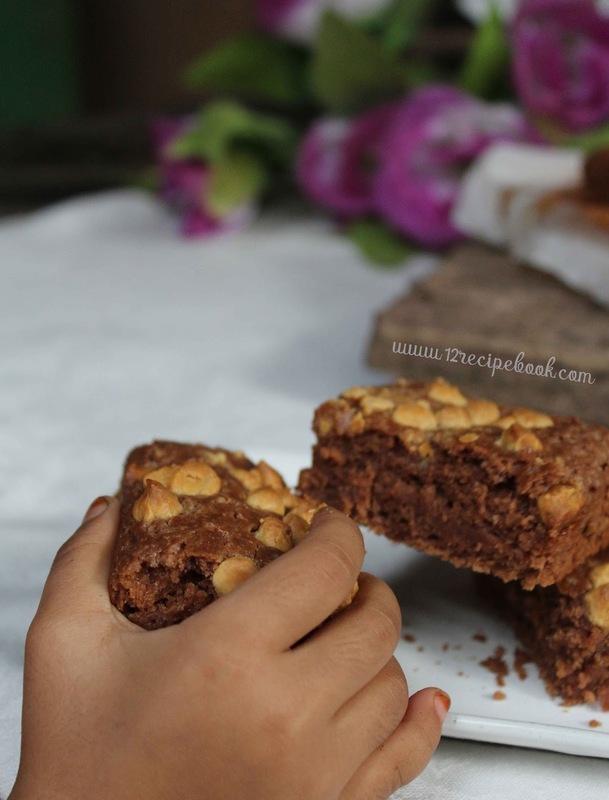 So this recipe is highly recommended for the diet people who craves for a dessert...Not at all for them; even kids will love this moist brownie. You can enjoy this as a breakfast treat n side with a cup of milk. Baking science need exact measurement. So;when you are baking something; don't forget to measure the things exactly using the measuring cup. Pre-heat the oven in to 180 degree and line a baking tray with parchment paper (Or grease it). 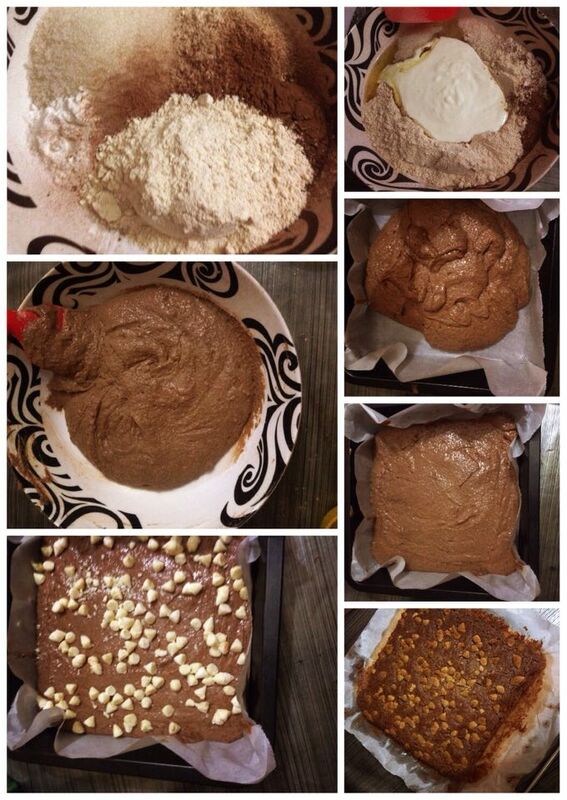 In a large mixing bowl; add all the wet ingredients (flour, cocoa powder, oats powder, salt, baking powder and sugar. Mix them and make a well in the centre. Add all the wet ingredients (oil, milk,vanilla essence and curd). Mix them well by folding (mix until it forms a thick creamy texture without any lumps). Pour in to the baking tray and level it. Sprinkle white chocolate chips evenly on top. Bake for 15 minutes (Or up to 20) until the top gets dried. 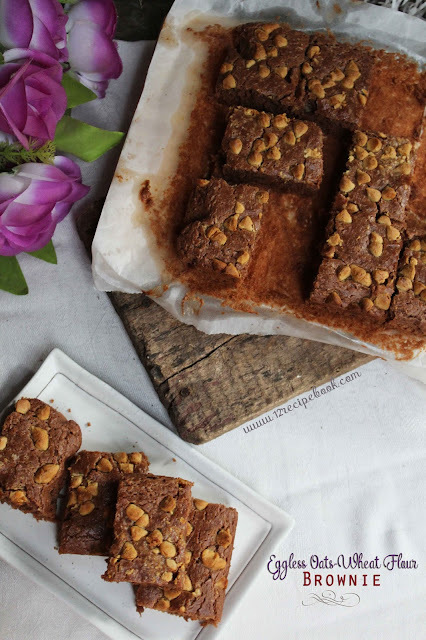 Allow to cool completely and cut them in to squares.